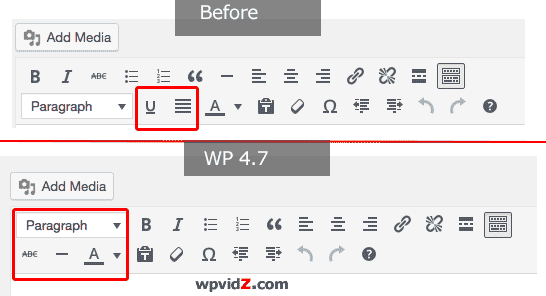 On 6 December 2016, it was middle of the night where I am located at that time, WordPress 4.7 “Vaughan” was released. Oh boy, I was already sleepy but could not resist trying it. So I downloaded and installed it a few times with Quick install software because I was too lazy to do manual install. I ended up doing manual install. I created quick video after that. 1. 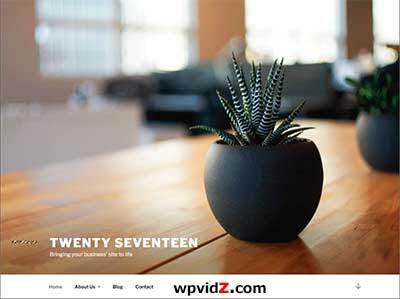 Default theme, Twenty Seventeen theme. Nice corporate looking theme. So many features are shipped with this theme, the “Colors” option, sticky menu, and also Header media video background on the header. Check out my video overview about it. 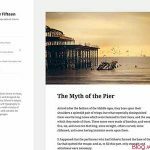 Twenty Seventeen works only with WordPress 4.7 or newer, because the “Header Media” was released with WP 4.7 or newer. 2. The theme starter content. You will get the starter content ONLY after clicking “Save & Publish” button in Customizer. I wish the starter content would be immediately existing after a user install WP. 3. Little blue shortcuts to edit your website. When you click those blue pencil icons, your cursor will be automatically placed in the place of the clicked area. 4. The smoother Menus customizer. 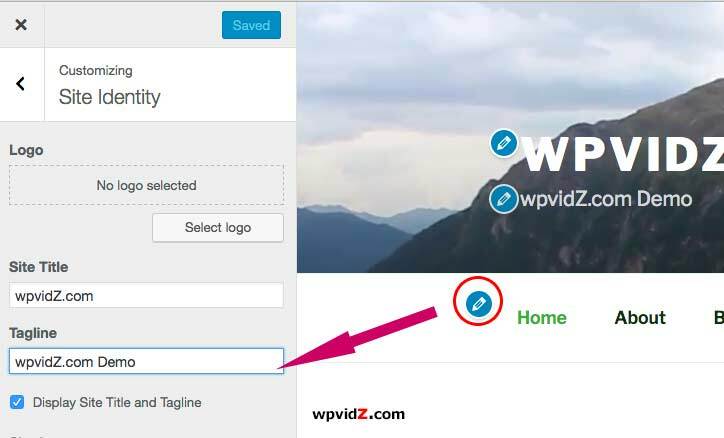 Now you can add a new page in your customizer without going to your dashboard. 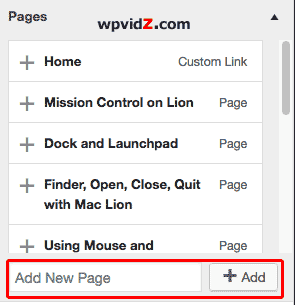 Adding new page in Customizer will automatically add a new page in your dashboard. 5. 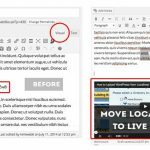 WordPress 4.7 includes “Header media” that enables users to have header video background, you can upload your own video or copy and paste your preferred YouTube video URL. Note about using video on your header. If you use YouTube video, there will be black empty spaces on your header. Even after I’ve tried with many embedding methods, also with the HD or full screen embed code. 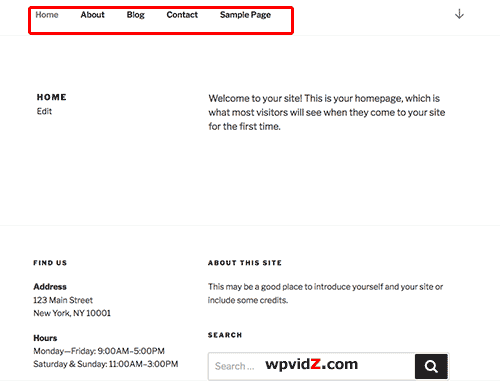 If you use your own uploaded video, you will have full screen video but your host will “suffer” because your visitors stream from your server. Consider having a good web host at this point. 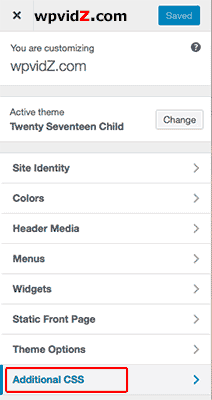 Huge different than older versions, now you can customize your theme right in the customizer without using plugin or creating a child theme. In short, if you only need to change colors of your website with Twenty Seventeen theme, try “Colors” Color Scheme option in your Customizer first. Then use “Additional CSS WP 4.7 feature if customizing “Colors” is not enough. For this, you do not need to create child theme. You will need to create child theme if you want to edit other files other than your stylesheet. 7. User language setting and locale. Dashboard → Users → Your Profile. 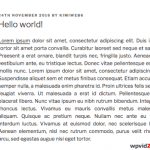 Since WP 4.0 was out the “Site Language” setting was shipped with WordPress. Now in 4.7 version, you can find User language setting. You will not see this in your user profile unless there are more than one language set in your General setting – Site Language. You can also then download the chosen language translation in your theme files. 8. Difference appearance of the toolbar. Locations of some buttons of the toolbar are different, justify and underline buttons are removed. The “Paragraph” is now on the top, and the horizontal and the strike-through buttons are placed under the “Paragraph” button. Additionally, you will have keyboard shortcuts when you hover on them or even in the drop down menu for Paragraphs, H1, H2, etc. 9. Uploaded PDF file has now thumbnails. In the older version, when you upload a PDF file, you will see a general icon and the name of the PDF file you’ve uploaded. Now you can see the thumbnail of the file. 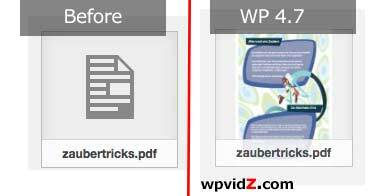 In case in your website, you cannot see the PDF thumbnail, it may be caused by your web host. 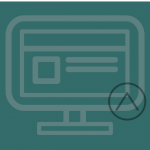 Most of web host have ImageMagick or GhostScript, but a few do not, and therefore some users can probably not view this thumbnail on their dashboard. 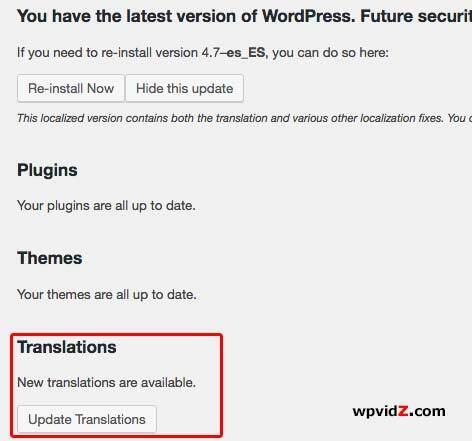 When you change your “Site Language” to another language, you will see the wording “New translations are available on your “Updates” tab. These are the new features that I see on this version, as a non-developer person or user. 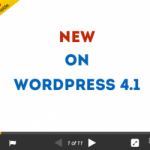 Furthermore, you can find the WordPress 4.7 new features on WordPress codex, or your WordPress dashboard, About WordPress.